Copyright (c) – GNP Crescendo Record Co., Inc. Manufactured By – GNP Crescendo Record Co., Inc. 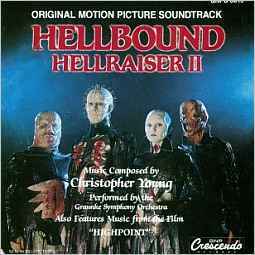 Score to Tony Randel's "Hellbound: Hellrasier II" (1989).